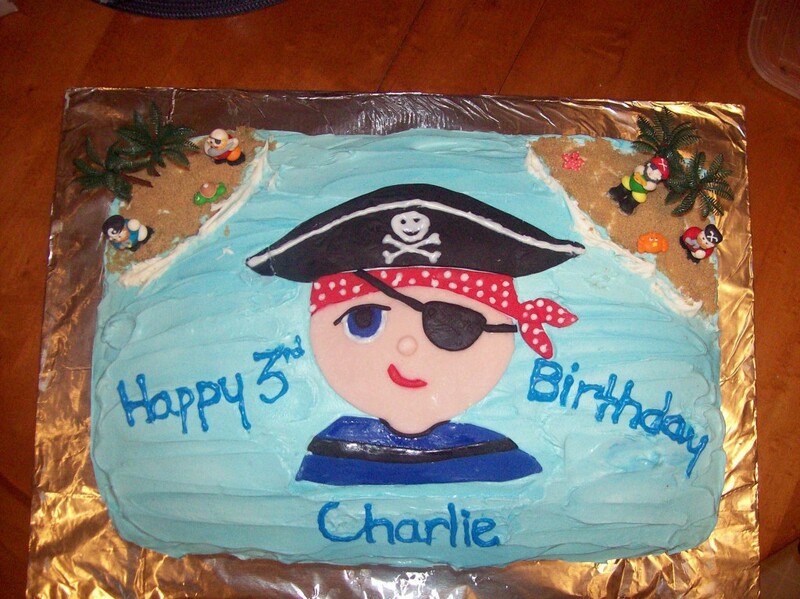 Pirates are swashbuckling characters that are greatly popular among young kids. They promise bundles of adventure and excitement, with a dash of craziness added to them. 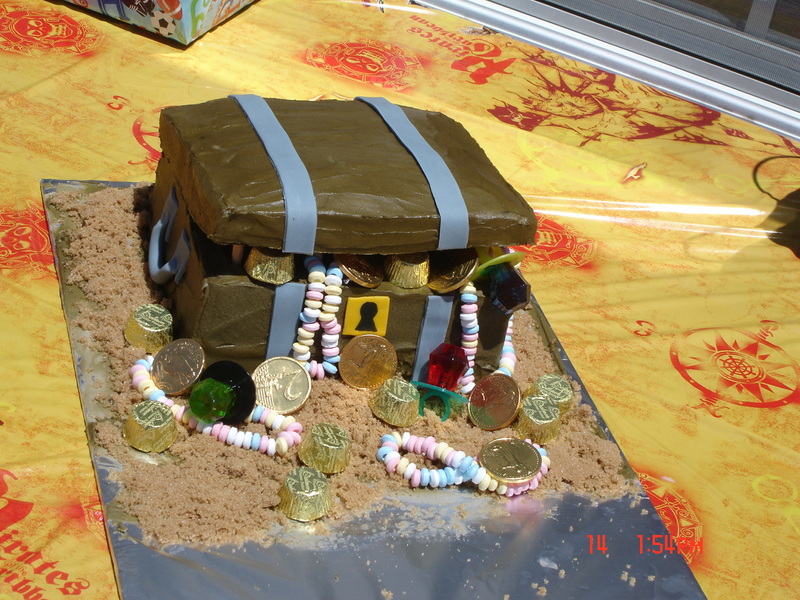 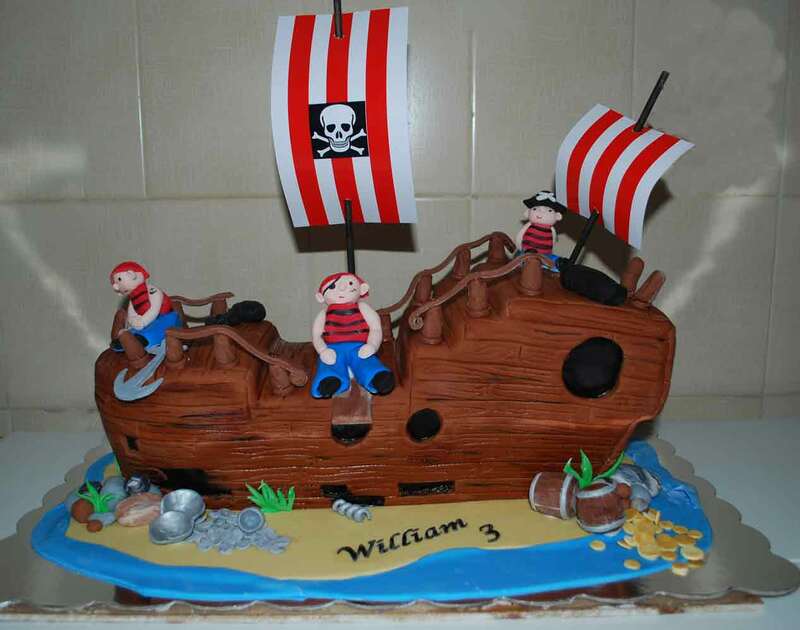 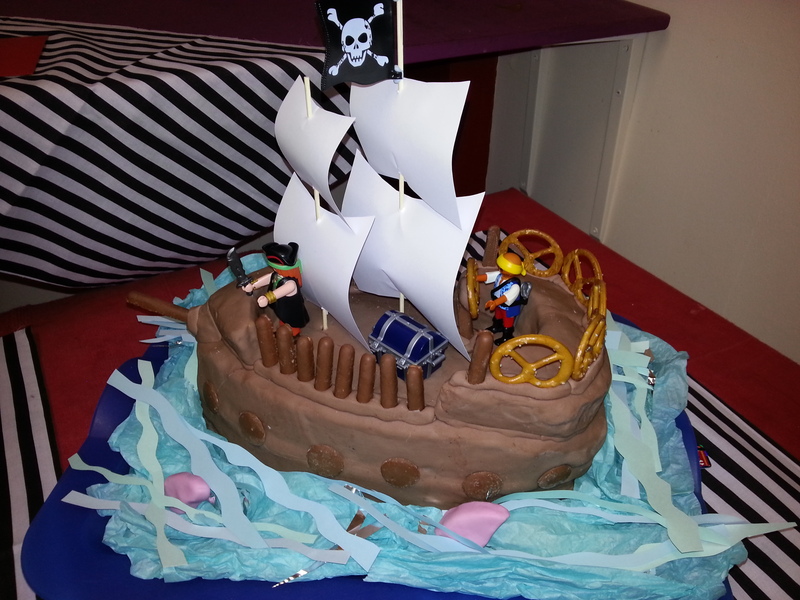 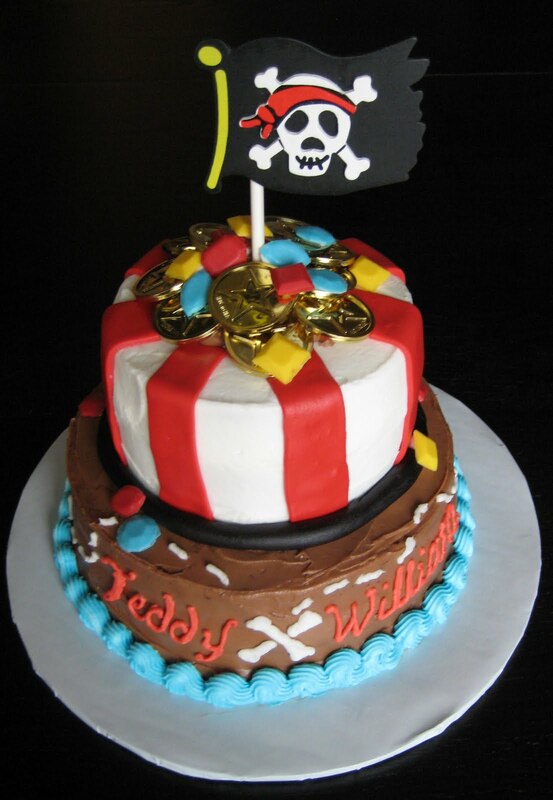 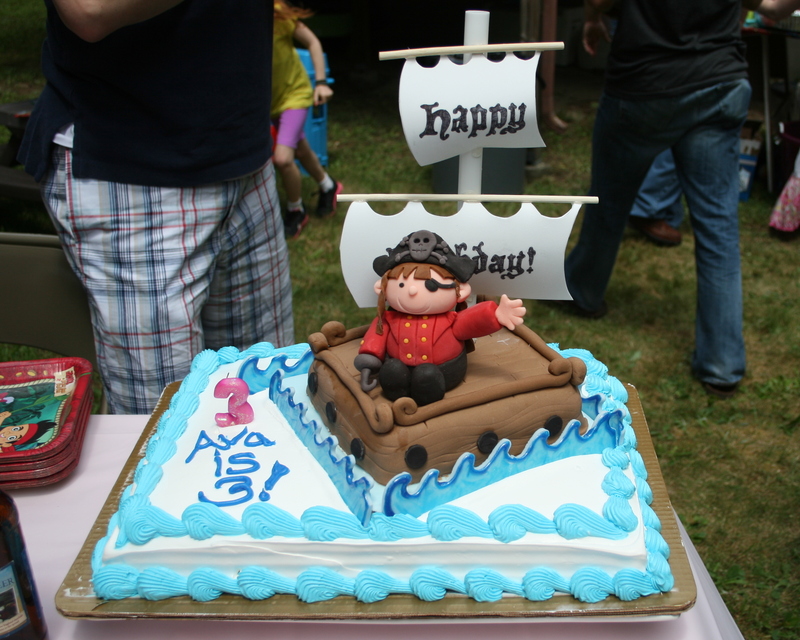 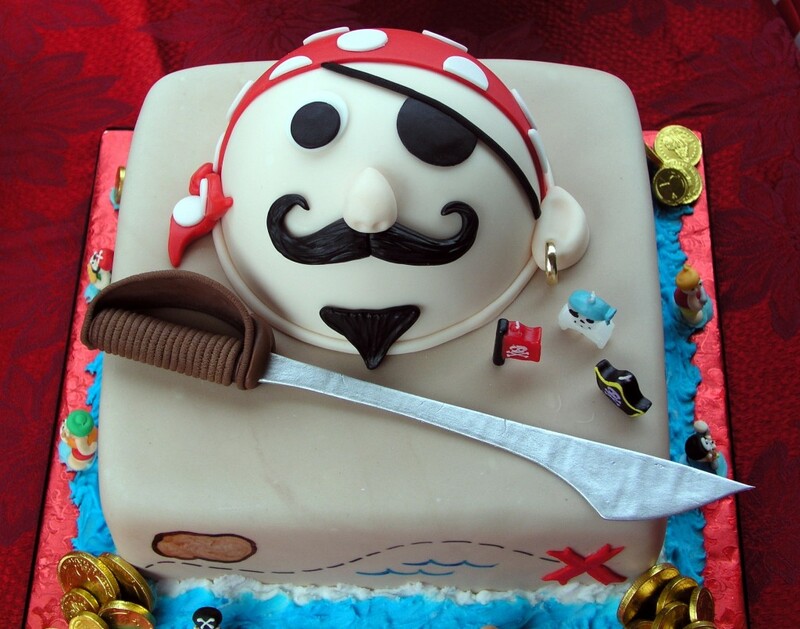 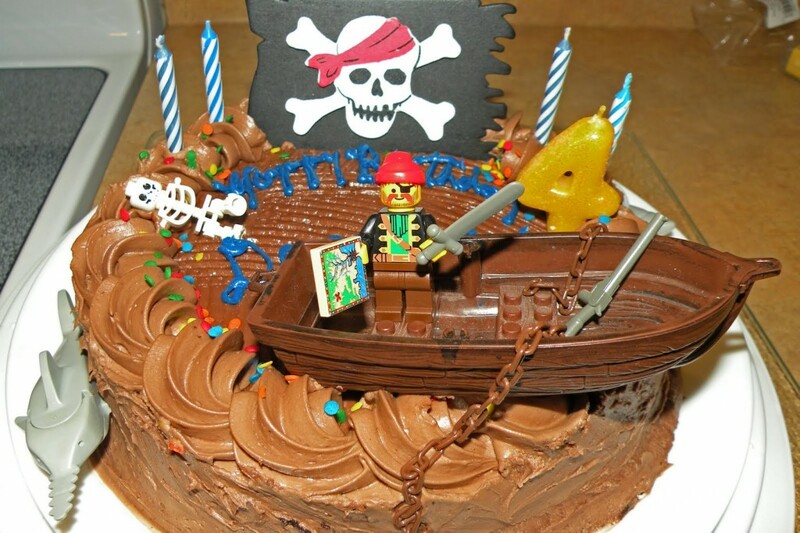 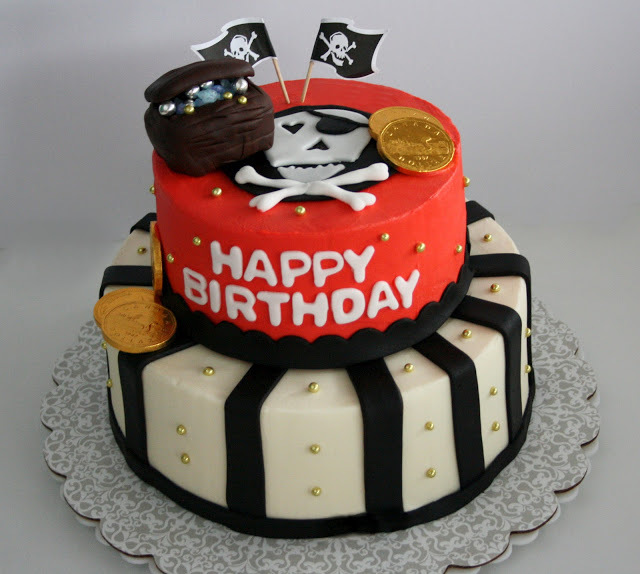 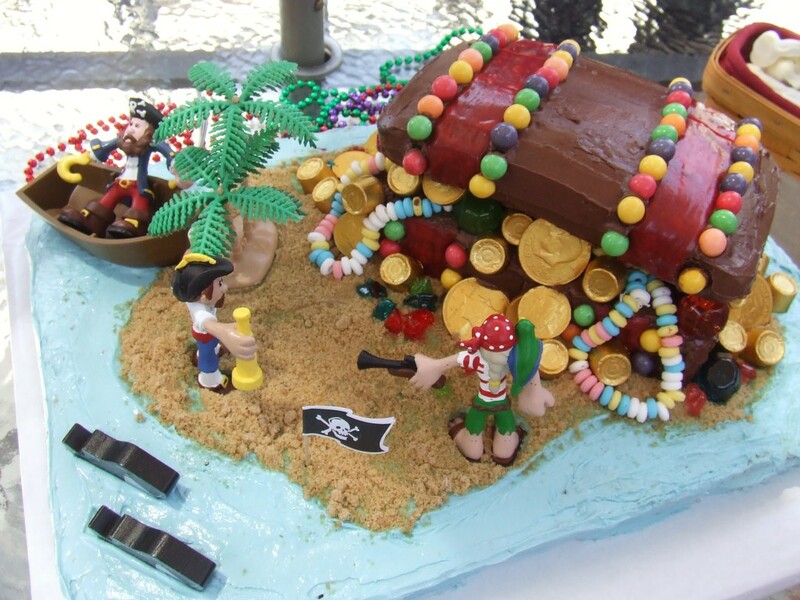 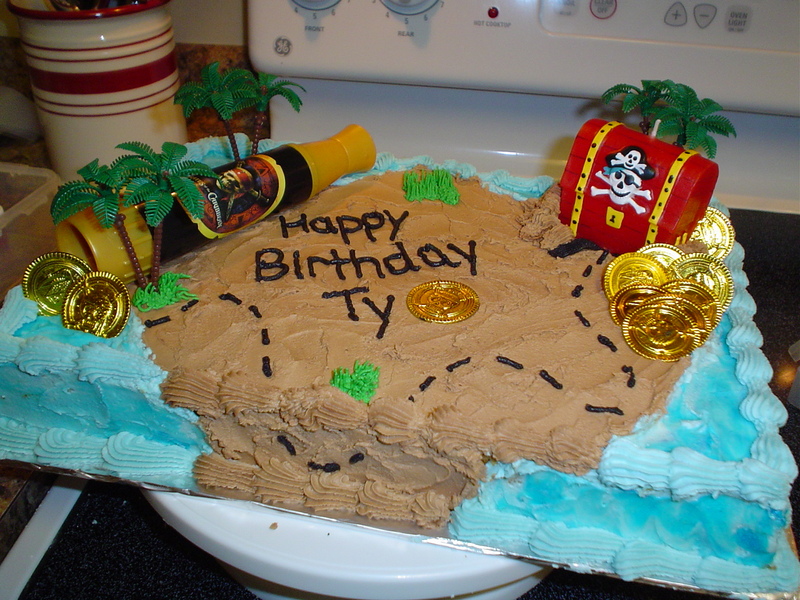 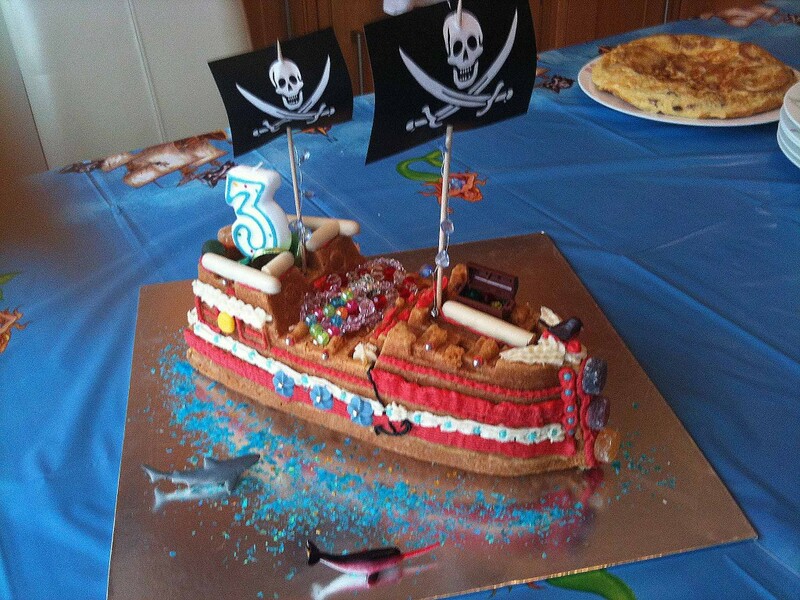 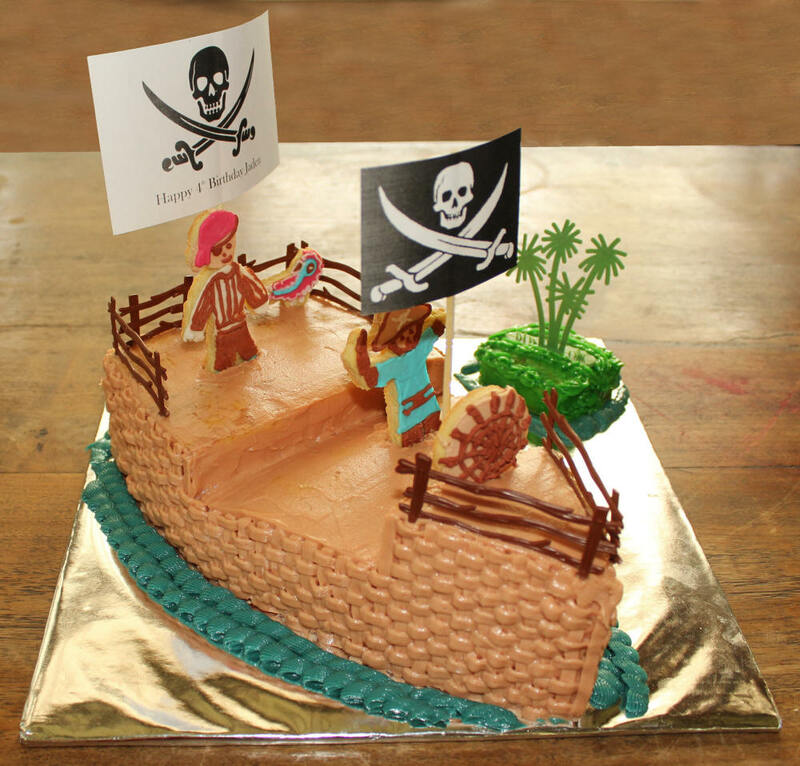 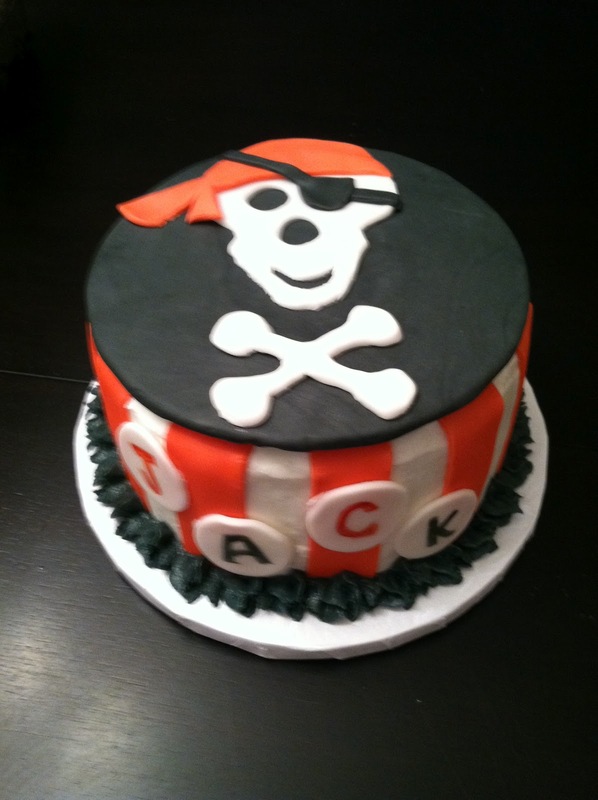 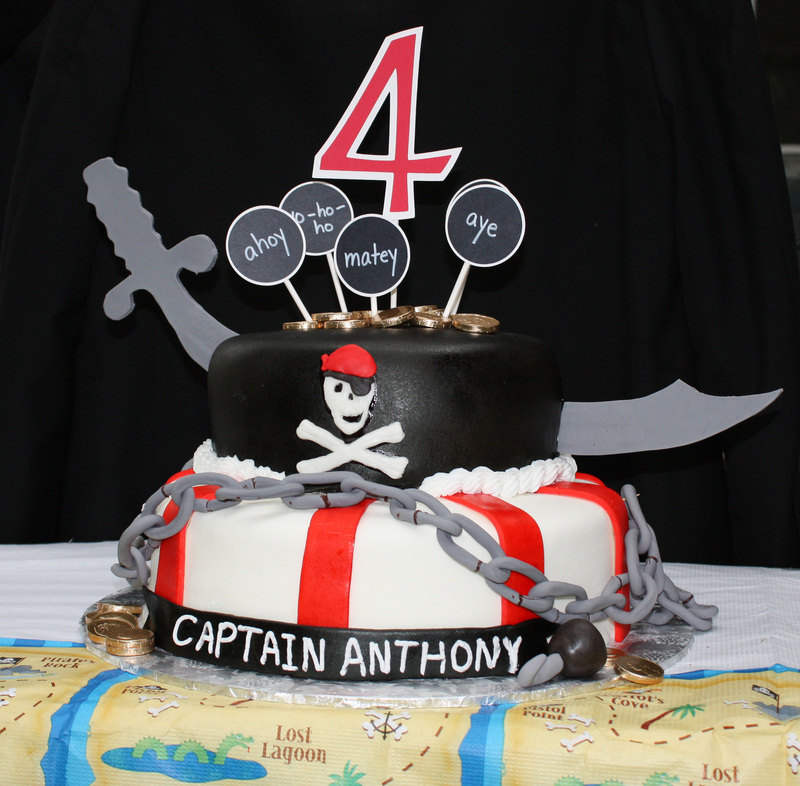 Pirate birthday cakes are loved by both little boys and girls, although the designs may differ greatly. 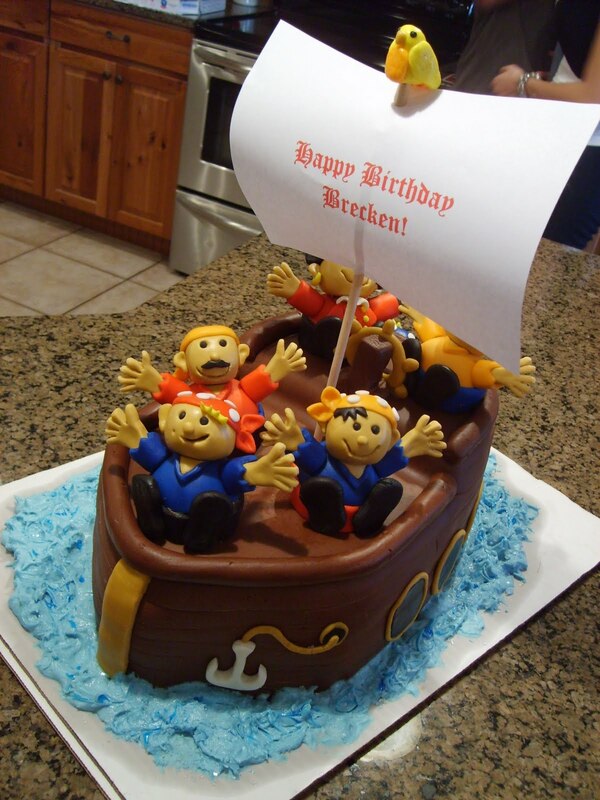 They go very well with pirate-themed birthday parties, and one can have plenty of options when it comes to designing pirate cakes. 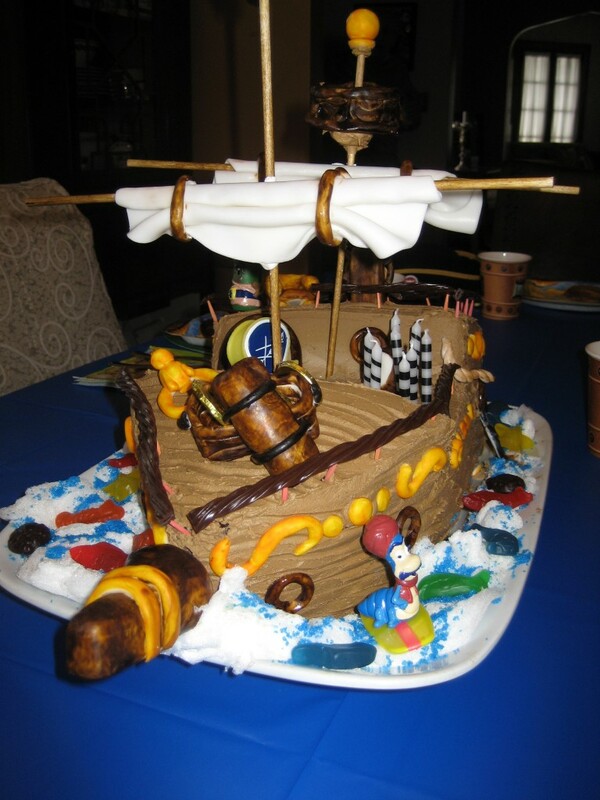 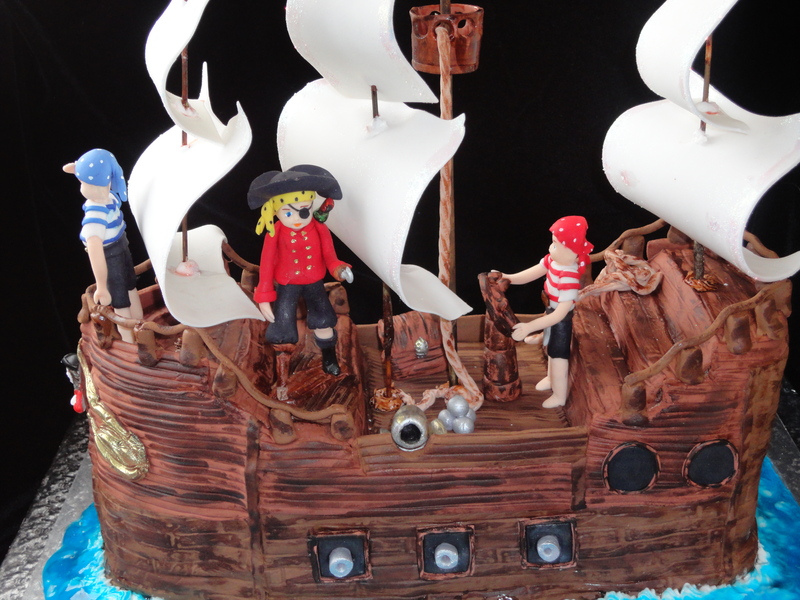 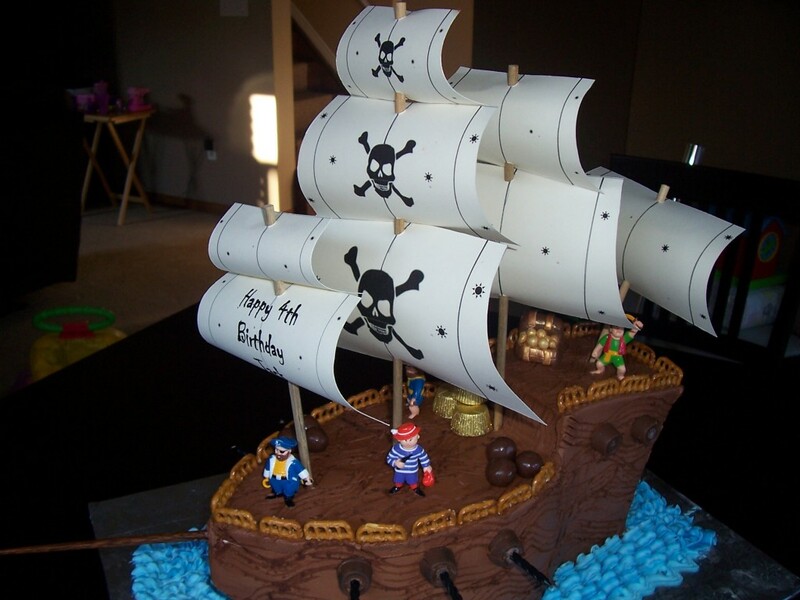 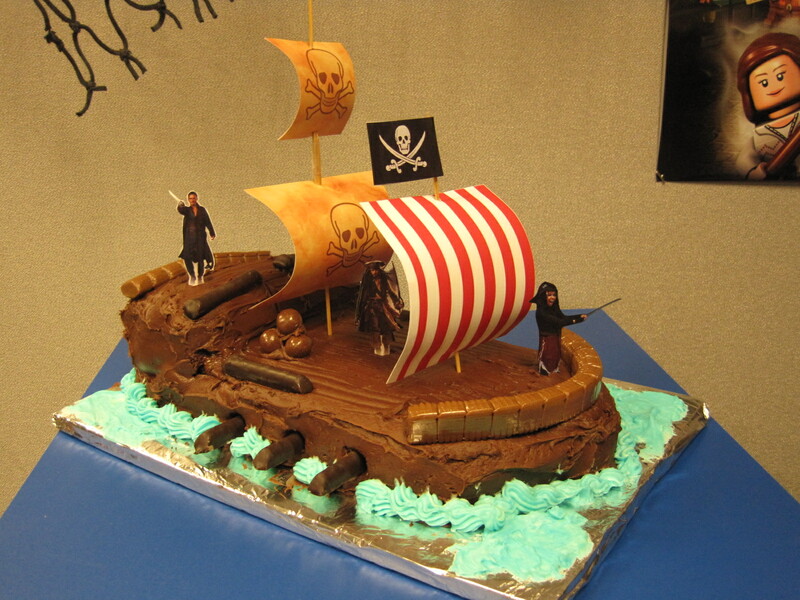 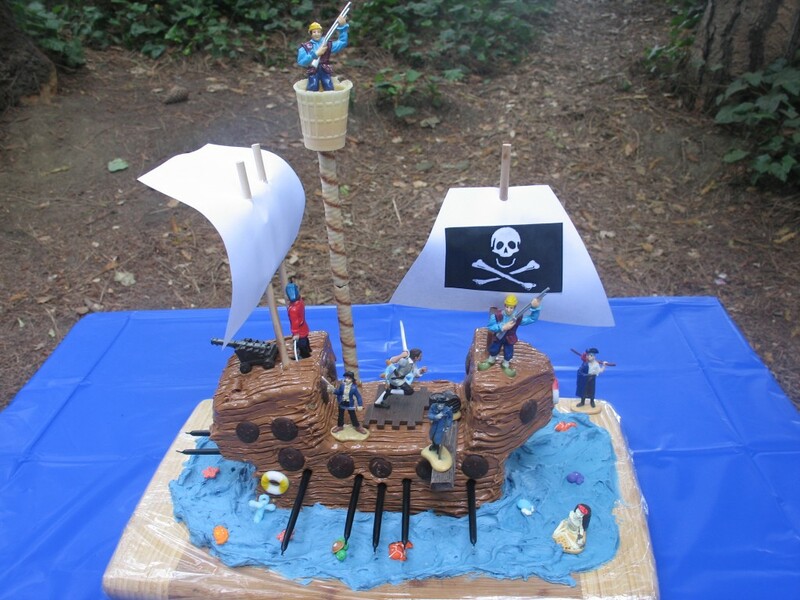 While having a pirate cake for a boy’s birthday party, you can opt for a pirate ship with hoisted pirate flags. 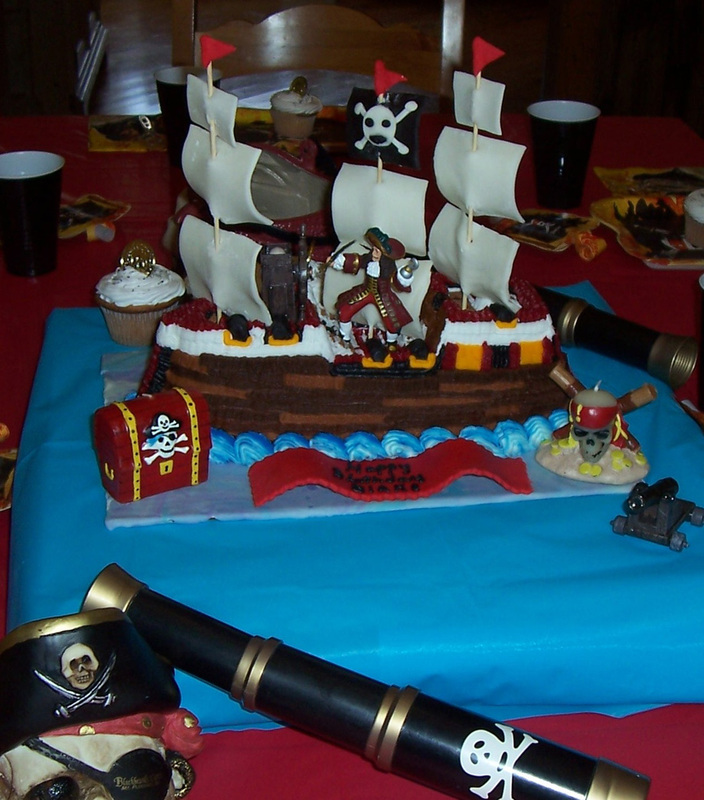 The cake can also include idols of rogue pirates wearing eye patches and carrying swords made out of bakery products and icing. 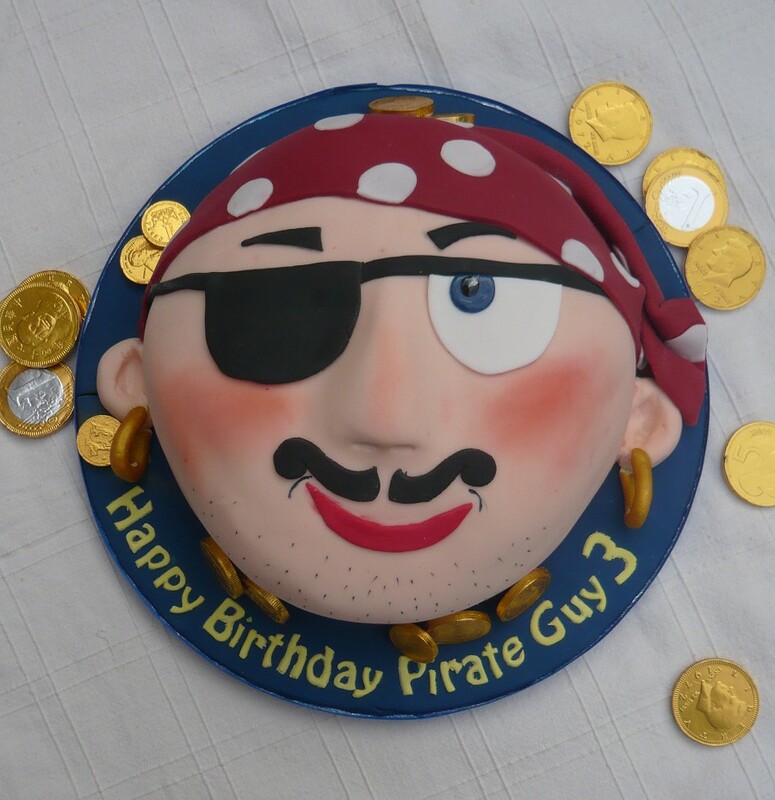 Other popular choices for pirate cakes include the face of a jolly pirate and a treasure chest. 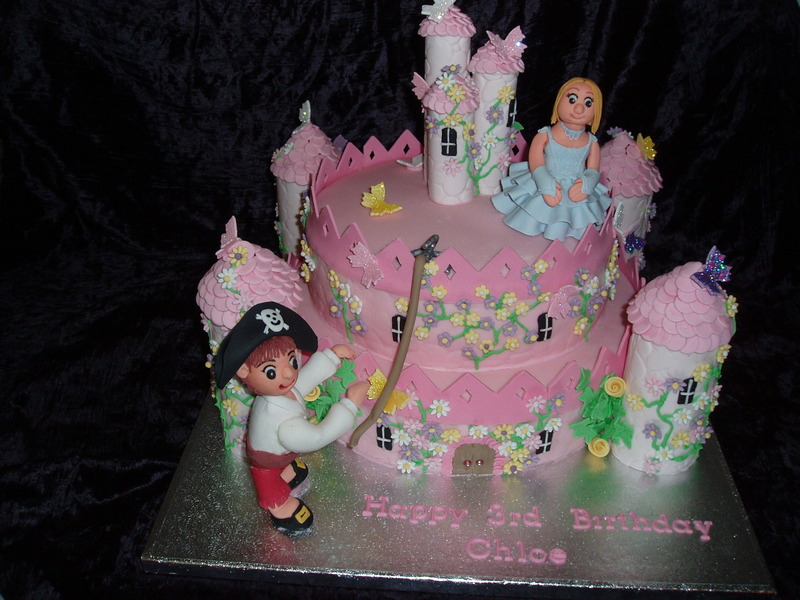 When it comes to pirate cakes for girls, the predominant color that is used is pink which is often combined with red, black and white. 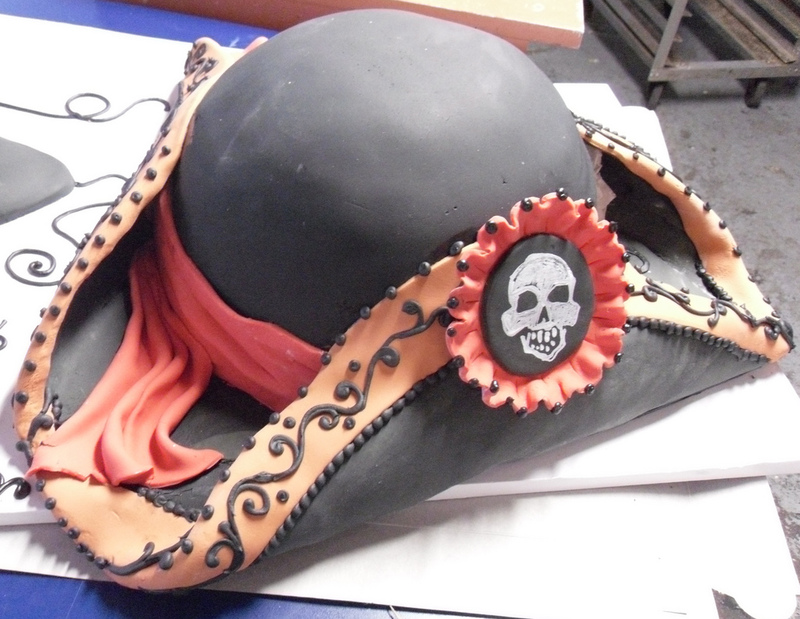 The image of a skull can be topped with a pink bandana and eye patch. These pirate cakes look feminine and whacky at the same time and are sure to make your pretty girl’s birthday a memorable event for many years to come.